As most of the organisations and political parties of Assam have continued the movement against the Citizenship Bill, 2016, it is now the turn of the transgender community of the State to oppose the Bill. 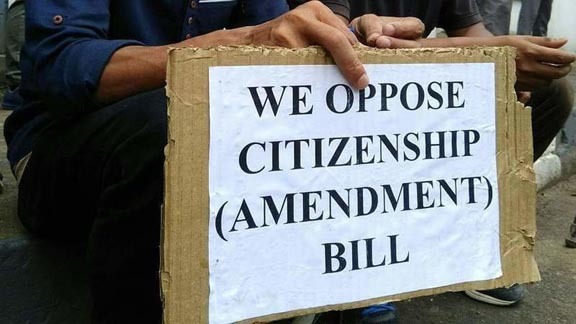 The transgender community of Assam has strongly opposed the Citizenship (Amendment) Bill, 2016, fearing that the Bill would undermine their existence and identity in the State. For other communities, the Citizenship Bill, 2016 raises issues about merely the citizenship, but the transgender community will suffer either way as there’s no light at the end of the tunnel for them, the report quoted Baruah further as saying. It may be mentioned that the Citizenship (Amendment) Bill, 2016, which has already been passed in the Lok Sabha, seeks to make minority communities namely Hindus, Sikhs, Buddhists, Jains, Parsis and Christians from Bangladesh, Afghanistan and Pakistan become eligible for Indian citizenship. If the Bill is passed, the transgender people from other countries, especially from Bangladesh, might settle in Assam, feared Baruah. Baruah further said the Citizenship Bill, if passed, will pose a traditional as well as cultural threat to the transgender community of Assam. According to the 2011 census report, there are at least 11,000 transgender people in the State which might have increased to more than 20,000 by now, informed Baruah. “Many of the new entrants are either too scared to come out fearing embarrassment or have come from other parts of the city. So, a screening by the government is required to differentiate the original inhabitants from the shifting crowd,” added Baruah. The transgender people feel that producing legacy data (required in the NRC update process) is difficult for many of them because, in most of the cases, when a family finds out that the child is a third gender, either they shun them or send them to the hijra guru (families of transgender), she added.